Despite being a journalist and having lived in London for five years, I’d never visited Fleet Street before. I’d assumed it was just a business street with little to offer a passing tourist or wanderer. It appears I was wrong. With its traditional buildings and winding Temple alleys, there’s a lot to see here. 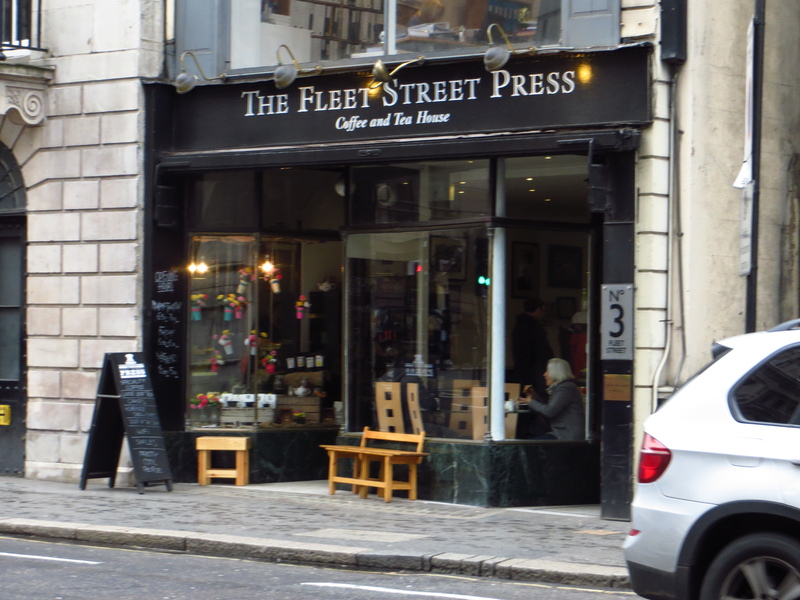 And there is always the Fleet Street Press – a cafe I’d heard good things about. Although only opened under the current name last year, it already feels like an established part of the London coffee scene. The one area that this cafe does truly excel is the coffee. Using Caravan coffee, the cappuccino was full of nutty flavours and made expertly by the barista. Not too hot, not too cold, just right. Though I’d recommend going for a regular over a large as the large was massive. Price wise it was pretty reasonable. This is one of the areas that lets this place down. From the outside it looks like it should be a cosy, wood panelled cafe – and to some extent that’s what you get. To other extents, you really don’t get that. 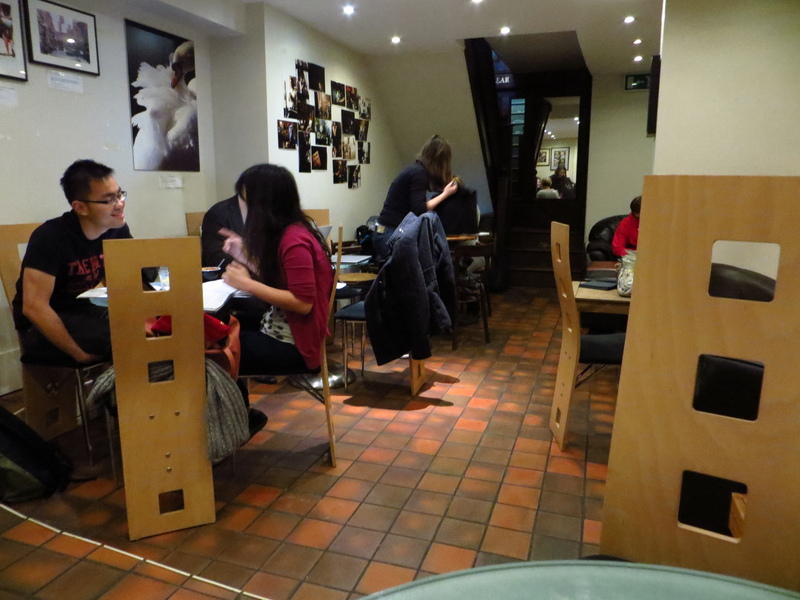 Upstairs is actually quite pleasant – bright and airy, though with little in the way of seating. Then you venture down some stairs that look like Dickens himself might have clambered down. However, when you reach the basement (past the speakers blaring out inappropriate music) it feels like you’ve stepped into a Costas from the 90s. Instead of embracing the lack of windows and low ceilings, they’ve tried to brighten it up, which just gives it a stale atmosphere. There are nice touches, like the political photos and comfy chair filled nook, but overall it’s not that appealing. The usual baked good and soup. A good selection of both along with some breakfast choices but nothing hugely inspiring. The ordering system was a bit slow but the service was very friendly and they knew that they were doing. Some great political photos and coffee for sale. While it probably does the best cup of coffee in the area, the décor downstairs lets it down a bit. 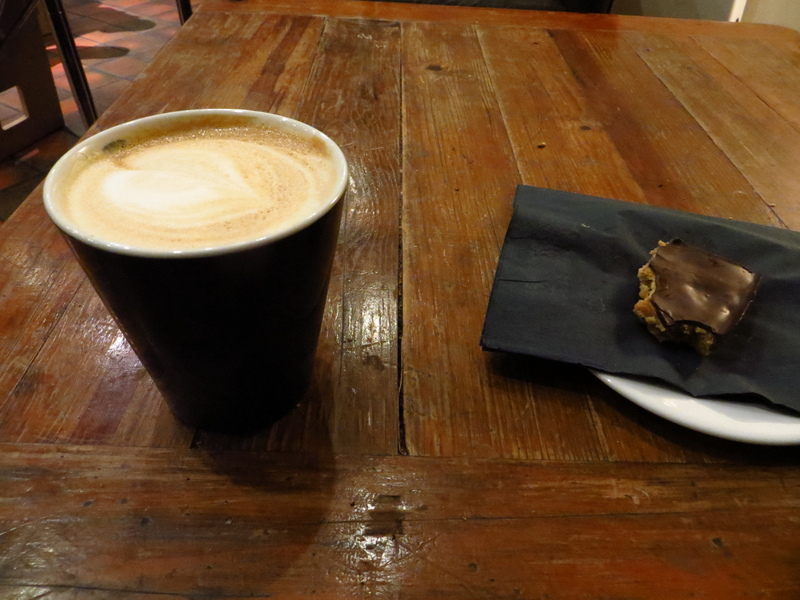 My advice – get your coffee to go and find yourself a bench in one of the squares in the Temple.